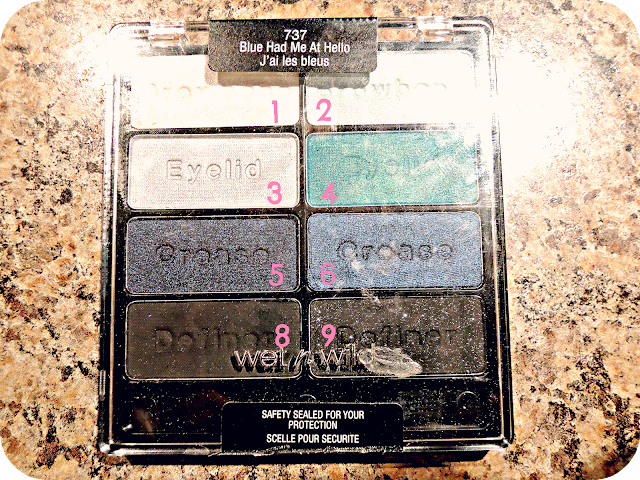 I'm absolutely loving Wet n Wild's "Blue Had Me At Hello" palette! I've always been a little intimidated by trying out blue eye makeup because I just never thought I could rock it. This palette makes it super easy to pull off a turquoise smokey eye. Of course you know I love a good bargain and at only $4.99, I couldn't resist.You can find it online at CVS. 1. Create a base for the eye shadow using a white pencil, like this shadow liner from NYX. Cover the eyes completely. 2. Apply eyeshadow number 2 onto the inner corner of eyelids blending outward into the middle using a flat stiff brush. 3. Add eyeshadow number 4 onto the center of the eyelid. Start blending it with the other eyshadow you applied in step 2. You'll want to apply the most color with this one since it's going to be the focal point of the look. 4. 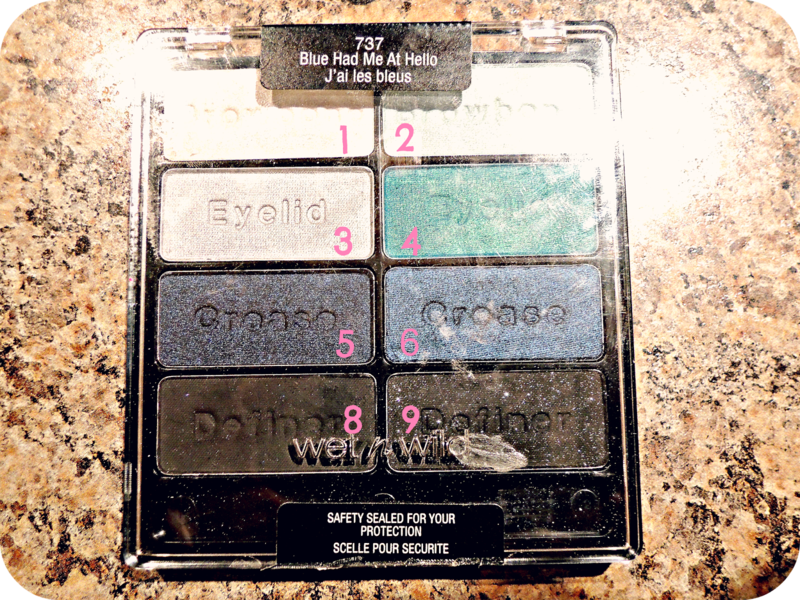 Grab some eyeshadow from color number 6 and apply it onto the outer corner of your eye, working your way from the base up to the outer crease. 5. Take a soft dome brush and blend blend blend! Pass it along your entire eyelid a few times. 6. 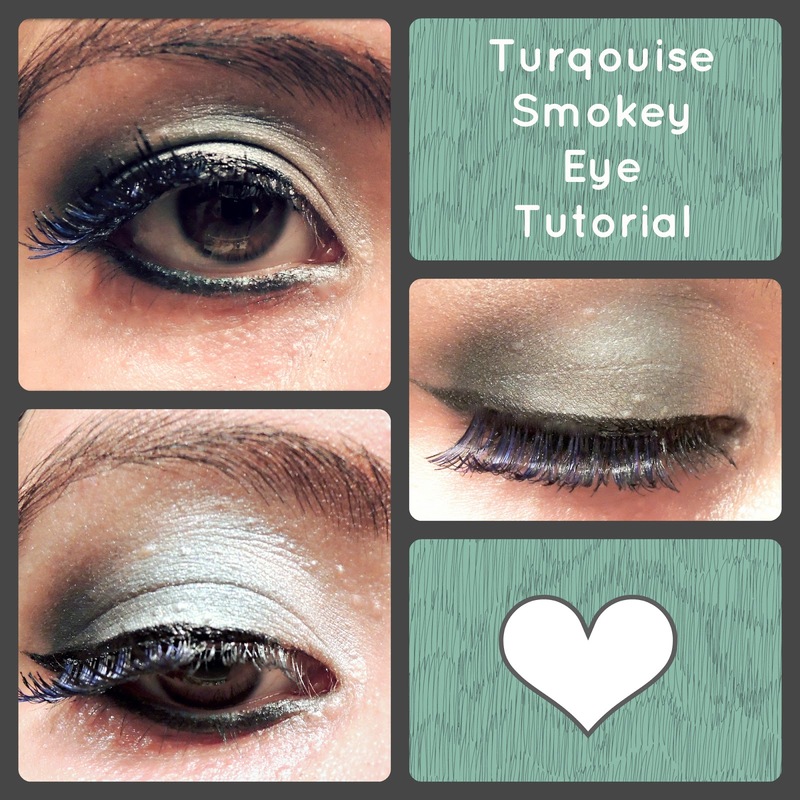 Next use a pencil brush and take color number 8 and lightly apply it to the outer corner of the eyes in a V motion, again blending for a smokey effect. 7. Use a flat eyeshadow brush to apply color number 1 onto the arch of your eyebrows to highlight them. Use the same white color for your inner eye corner to make eyes pop. 8. Apply black eyeliner, my favorite at the moment is this one. It's Milani's Eye Tech Extreme Liquid Eyeliner. You can also line your waterline with white eyeliner for a big, bold touch. 9. Finish the look with false eyelashes and mascara. I used fake blue lashes from Color Impact and since I hit the 3 month mark with my mascara, I switched it up and replaced my other tube with Covergirl's Clump Crusher. Voila, you're done! If you chicas would like to see this look in a video, let me know and I will post a step by step tutorial! I love this look! I don't wear a lot of turquoise shades, but I would totally try this as it's nicely grounded. Gorgeous eyes! turquoise will be in this fall, so great timing for this! love this piece, and i do the the colors added to the smokey eye look. Thank you Elle, let me know if you try it!